Such a joy to meet Catherine Turocy, an awesome arts professional and a Baroque and Renaissance dance expert. She’s shown here dancing the Passacaille d’Armide. We took a saucy dance class with Catherine as part of her recent week-long residency in southern California. 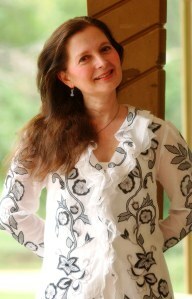 Normally based in Dallas (though she’s artistic director of The New York Baroque Dance Company on the faraway isle of Manhattan), Turocy, in her California comings and goings, was shepherded by arts·meme friend Emma-Lew Thomas, a dance historian and former UCLA dance department instructor. Swept up in the spirit of nostalgia, we too went for barocco. Under the master’s instruction, we twirled our hands, punctuated with our fingers, made fleeting our footsteps, and twisted our arms like a grapevine. It made us feel immensely civilized. Then we went back out into the world. With apologies to Les Ballet Trockadero for borrowing their brilliant title.